It comes in a portable stick form with a pull-off cap. It's a twist-up concealer. So just twist up a little, then apply it on your blemishes. 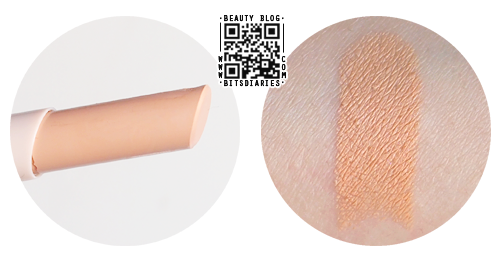 This yellow-orange based concealer has a smooth, creamy texture and a medicated herbal scent. 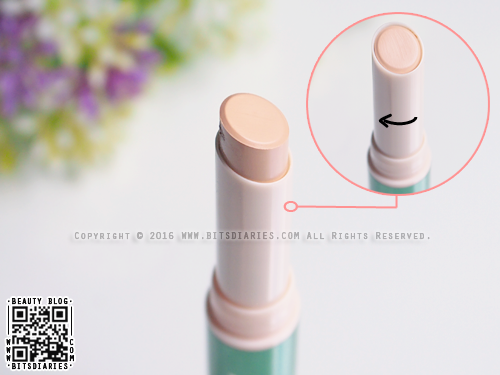 It gives a matte finish and a decent, buildable coverage. It won't completely hide dark blemishes and redness, but it does a good job of covering light blemishes and redness. In terms of longevity, it lasted for about 3-4 hours before it starts creasing. 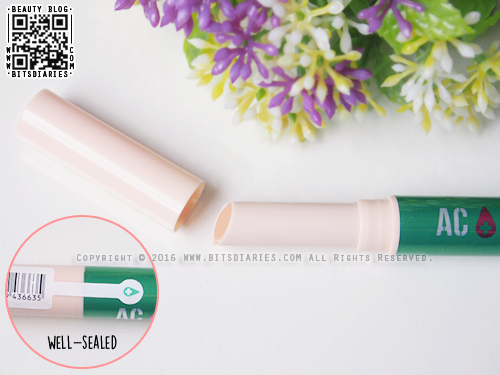 The good thing about this concealer is that it doesn't cause breakouts or irritations. On the downside, it has a tendency to settle into lines and can look cakey if too much is applied. Also, it only comes in one shade, which is a tad too dark for light skin tone but if blended well, it works just fine. All in all, it's a great concealer for acne-prone skin. Performance wise, it's not bad, but I think there are better ones out there. Give this a try if you are just looking for some coverage.